The wait for Nvidia’s next-generation Turing graphics cards was excruciating but, finally, the latest and greatest GPU architecture is here. It was a long wait, but the sheer power of Nvidia Turing was definitely worth it. Now that we finally have Turing-powered Nvidia GeForce RTX 2080 Ti, RTX 2080, RTX 2070 and RTX 2060 cards in our hands, we know they’re the best graphics cards for the games we’ll be playing for the next few years. Nvidia Turing will be behind some creative work too, thanks to the recently introduced Nvidia Titan RTX. Real time ray tracing is the game changing technology this time around, bringing this long-awaited graphics technology to the mainstream with Nvidia Turing. This could bring about a graphical revolution in the way the best PC games are rendered. And, judging by recent games like Metro Exodus, that revolution has arrived – especially considering you can enable ray tracing on non-RTX cards (to the tune of a major performance hit). Of course, if you don’t want to invest in the unique RTX tech, Nvidia has launched the GeForce GTX 1660 Ti and the GeForce GTX 1660. They’re not quite as powerful as their ray tracing cousins, but they’re significantly more affordable. Plus, it looks like Nvidia is planning on releasing more affordable GPUs. We’ve seen some leaks that shed light on the GTX 1650. We’ve seen some leaks of new laptop GPUs, too. All of the currently-announced Nvidia Turing GPUs are now out in the wild – the RTX 2080 Ti, 2080, 2070, 2060, GTX 1660 Ti and GTX 1660. Thankfully, the RTX-series cards are readily available now after some initial limited availability, and you’ll likely find more than a few models on sale everyday. And, at CES 2019, we didn’t just finally get an RTX 2060 announcement, but also over 40 gaming laptops sporting the mobile version of Nvidia RTX graphics. The best gaming laptops of CES 2019, like the Alienware Area 51m, were all packing the latest Nvidia Turing graphics, and they’ve started hitting the market almost immediately in early- to mid-January 2019. And, if you were looking for a graphics card that you won’t have to take out a personal loan to afford, the Nvidia GeForce GTX 1660 Ti arrived on February 22nd. The Nvidia GeForce GTX 1660 quickly followed with its own March 14th release date. Nvidia isn’t showing any signs of slowing down anytime soon, as rumors also suggest that the GeForce GTX 1650 is on its way. We’ve already seen some leaked photos of the GTX 1650, along with its retail boxes. Rumors suggest that the GTX 1650 will release on April 30. We’ve also seen some leaks suggesting that Nvidia Turing GTX graphics will start showing up in less prohibitively expensive laptops. An Nvidia GeForce GTX 1650showed up in a rogue 3DMark entry. And, earlier that same week, another new Nvidia GPU popped up in Notebook Check’s database, and this GPU is suspected to be the mobile version of the GTX 1660 Ti for desktops. 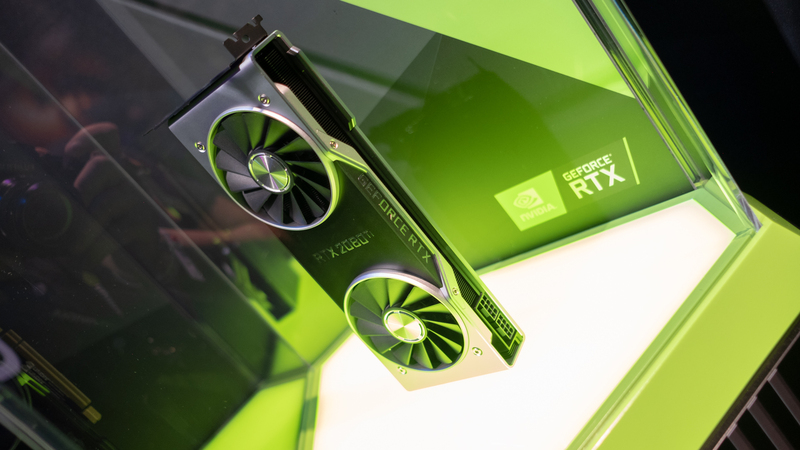 Overall, the prices for Nvidia&apos;s newest graphics cards seem to have risen with the Nvidia GeForce RTX 2080 Ti taking the place of Nvidia’s past Titan cards. This shift up can sadly be seen across the entire lineup. Not to mention that the prices on the store for the RTX 2080 Ti and RTX 2080 were a bit higher than what Nvidia CEO and founder Jensen Huang revealed at the Nvidia Geforce Celebration at Gamescom 2018 – at the time of writing. For instance, the 2080 Ti was initially revealed at $999, but that price is rarely reflected outside of some occasional discounts. Then there’s the GTX Turing cards. Right now, there’s only one on the market, the $279 (£259, AU$469) GTX 1660 Ti. However, there are rumors of two more affordable Turing cards launching later this year. And, while there are some rumored prices for these cards, they haven’t been confirmed, so you should take them with a grain of salt. The headline feature of Nvidia Turing is the inclusion of ray-tracing tech that can render more realistic visuals and lighting in real time without having to fall back on programming tricks. 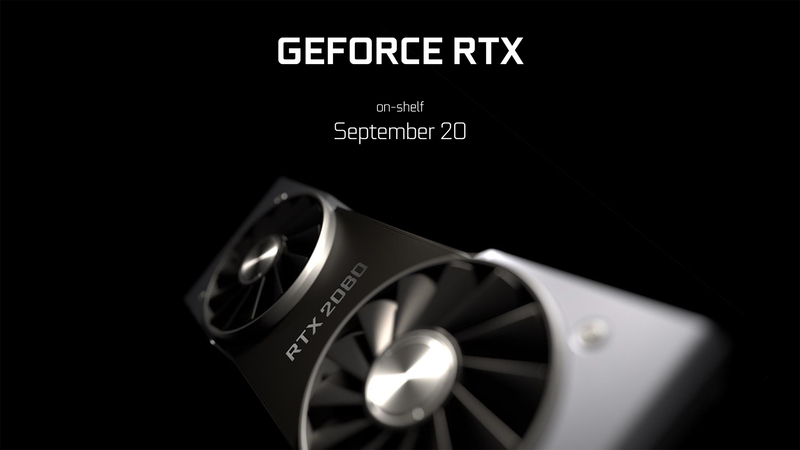 These specialized RTX cores essentially calculate how light and sound travel in a 3D environment at a rate of up to 10 GigaRays on the RTX 2080 Ti. These specialized cores will also supposedly allow Nvidia Turing-based graphics cards to process ray tracing up to 25 times faster than Pascal. When these RTX Cores aren’t in use for processing ray tracing, they’ll essentially switch off, ceasing to draw any power. In addition to these RTX cores, the Turing Architecture will also feature Tensor Cores, like the ones found in Volta. These specialized cores enable artificial intelligence and neural networking so that Turing cards get better at rendering over time – something previously exclusive to supercomputers. With the ability to deliver 500 trillion Tensor operations a second, this technology accelerates deep learning training and inferencing. This will allow Nvidia to offer Deep Learning Super Sampling (DLSS), which could be a version of super sampling that won’t bring your computer to its knees. Even for games that don’t support this new DLSS tech, these AI-fueled cores should deliver traditional anti-aliasing much more efficiently – up to eight times. 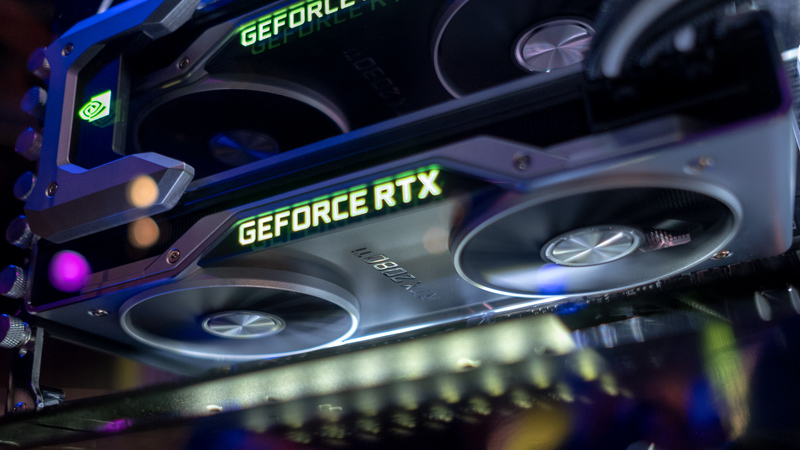 As with Volta, Nvidia Turing is adopting GDDR6 memory – up to 11GB in the RTX 2080 Ti, which can clock in at up to 14Gbps, quite the leap over the Pascal-powered Nvidia Titan Xp that clocked in at 11.4Gbps. The Nvidia GeForce RTX 2080 Ti is an absolute behemoth of a GPU. With 4,352 CUDA cores, 11GB of GDDR6 VRAM with a 352-bit memory bus and 18 billion transistors, it’ll be capable of 4K Ultra gaming at high refresh rates for years to come. It’s no wonder it comes with such a high price tag. The more mainstream RTX 2080 and RTX 2070 are both also quite impressive and absolutely destroy the previous generation of GPUs. The former will feature 2,944 CUDA cores, 8GB of GDDR6 memory and clocks in at a 1.5GHz base frequency. The 2070, though is be a bit weaker, coming with 2,304 CUDA cores 8GB of GDDR6 VRAM and clocked at a 1,410Mhz base frequency. And, while the RTX 2060 is basically just a cut-down RTX 2070, with the same TU106 GPU, but with 1,920 CUDA cores, 6GB of GDDR6 VRAM and a boost clock of 1,680 MHz, it’s still a formidable graphics card. There are rumors of an RTX 2070 Ti, through some leaked benchmarks. The details are a bit hard to believe, as it’s listed with 7.5GB of VRAM at 3,150MHz, when the 2070 has 8GB at 3,500MHz. Given the fact that Ti-branded graphics cards are usually more powerful than their non-Ti companions, we’d take this with a grain of salt. Nvidia has also launched a couple non-RTX cards, starting with the GTX 1660 Ti. This entry-level card features 1,536 CUDA cores, 6GB of GDDR6 VRAM at 12Gbps, and a base clock of 1,500 MHz. It’s slower than the RTX 2060, but it’s a substantial upgrade over the GTX 1060 it replaces. Team Green’s second non-RTX GPU, the GTX 1660 features 1,480 CUDA cores, 6GB of GDDR5 video memory and a reference boost clock of 1,785MHz. It might not sound mighty on paper, but between its low price and fantastic 1080p gaming performance, it’s currently the absolutely best entry-level graphics card you can buy. Word on the street is that a third non-RTX GPU is on the way, the Nvidia GeForce GTX 1650. This low-end gpu is rumored to feature the TU117 GPU, clocked at 1,655 MHz with 4GB of GDDR5 VRAM. These aren’t confirmed specs, but that would make it quite the entry-level card. There are rumors that we’ll see more Turing budget cards, namely the Nvidia GeForce GTX 1650. We don’t know what kind of power this cards will pack, at least not for sure. But, word on the street is that the GTX 1650 will pack GDDR5 memory on a 128-bit memory bus, but beyond that who knows what it can do. And, as long as you have the high-end specs to back them up, the new Turing RTX cards are able to perform much faster than their Pascal equivalents, and will be able to push it even further once DLSS or deep learning super sampling is more widespread. And, thanks to the AA improvements in the Tensor cores, we’re seeing about a 20-40% increase in games that don&apos;t support DLSS. In our benchmarks, the GeForce RTX 2080 outperforms the GeForce GTX 1080 Ti by about 11% and the Nvidia GTX 1080 by a more impressive 32% in Middle Earth: Shadow of War in 4K. This performance difference is even more massive when you look at the Nvidia GeForce RTX 2080 Ti which not only is 20% faster than the RTX 2080 in the same title, but beats out the last-generation 1080 Ti by a massive 30%, destroying the GTX 1080 with a 45% performance delta. Unfortunately, the Nvidia RTX 2070 is less impressive. While it does absolutely wipe the floor with the GTX 1070, it is essentially neck in neck with the GTX 1080 – barely hitting a 10% performance increase at 4K in Shadow of the Tomb Raider. At its price point we were hoping for more, especially after seeing the RTX 2080 and RTX 2080 Ti’s impressive performances. The RTX 2060 is obviously the weakest of the bunch, but you shouldn’t dismiss it outright. The mid-range Nvidia Turing card far outclasses the GTX 1060, but what’s more surprising is that it surpasses the GTX 1070 Ti – for a lower asking price. We were able to get 90 fps in Shadow of the Tomb Raider at 1080p, whereas the 1070 Ti lagged behind at 86 fps. That’s not a huge difference, but the 2060 is $100 cheaper at launch. In traditional games, there’s no question that Nvidia Turing marks a total upgrade from Pascal. And, over time as drivers mature and users get ready to start overclocking their Turing cards, the difference is only going to grow. That’s not to mention the inclusion of incoming DLSS and ray tracing in games, which should only increase the Nvidia Turing performance gap. When it comes to ray tracing, there’s only one title that supports it right now: Battlefield V. And, in that title, the Nvidia Turing cards use a hybrid rendering technique – combining both traditional rasterization and ray tracing in order to produce playable frame rates. Nvidia utilizes “Bounding Volume Hierarchy,” or BVH to track large portions of the scene being rendered for whether or not a ray is being bounced. The RTX cores will then dig deeper into these large rendering zones until it finds the polygon that’s getting hit by the light ray. This method impacts performance far less than tracking each ray live, but it’s still very demanding. In our own testing, you’ll be stuck at 1080p if you’re looking for smooth gameplay with ray tracing turned on. However, with Nvidia’s latest RTX drivers, it’s claiming to increase performance by up to 50% for ray tracing. We’ll be sure to test this and report back, but we have to wait for the new Battlefield V patch to do it. As for the Nvidia GeForce GTX 1660 Ti, you can expect much better performance than the GTX 1060 for less money – up to 56% faster in Shadow of the Tomb Raider at 1080p in our testing. That makes the 1660 Ti a beast when it comes to value.